Also available in pack of 3. 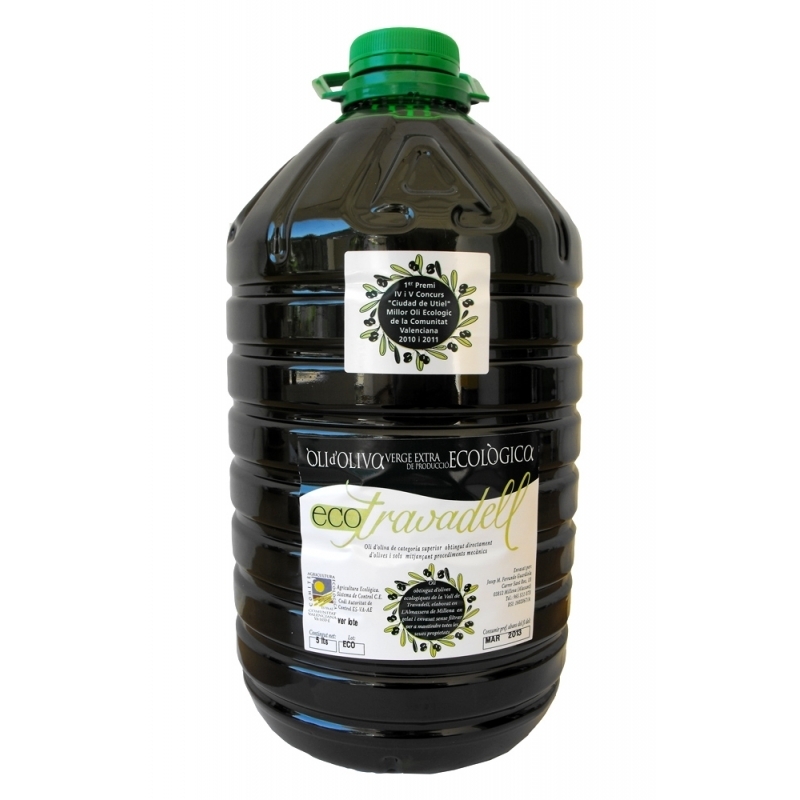 This Extra Virgin Olive Oil of high quality is obtained from the organic olives of the Travadell valley and is elaborated in cold and unfiltered when bottled. Coupage or blend: 75% Villalonga manzanilla, 15% Blanqueta and 10% Genovesa, Alfafarenca and Arbequina. Tasting: Predominantly green fruitiness with essences of green olive, fresh herbs, green leaf and apple of light intensity (between light and average). Some very light essences of green almonds and banana are also to be found. The oil is bitter and spicy with an average intensity. Origin: The Comptat county in the Alicante province.